We are a Florida Law Firm with offices in Orlando, Melbourne, and Boca Raton. Our legal teams consists of eight (8) experienced trial lawyers and attorneys ready to fight for your rights. We are a full service law firm with the experience and resources to address almost any type of case. We have attorneys ready to meet you and address your legal needs. Our attorneys specialize in specific areas of the law, so please make sure you briefly discuss your legal issue when you call so that you may be scheduled with the correct lawyer with experience in the particular area of the law you have questions or concerns about. Our Law Firm consists of eight diverse attorneys and lawyers with over 80 years of combined experience. For these types of cases, a nominal consultation fee may apply. You may call and schedule a convenient time to discuss the particulars of your case. Consultations available by phone or in person at any of our three Florida offices. We take some cases on contingency or on an hourly rate depending on the tpye of cases and the preference of the client. If you have a specific question that you would like to submit via email, please click here: Ask an Attorney. 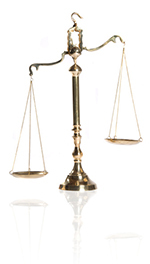 Arcadier and Associates is an AV rated law firm, with board certified attorneys.